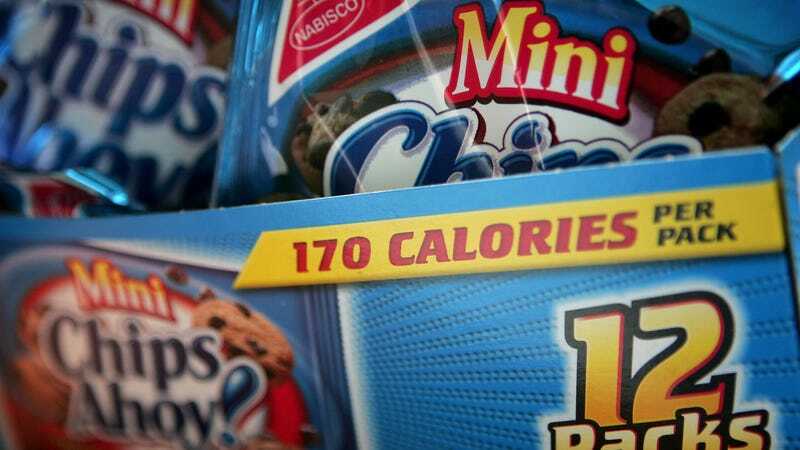 The mother of 15-year-old Alexi Ryann Stafford, of Weston, Florida, says her daughter died of anaphylactic shock last month after unknowingly consuming a Chips Ahoy! cookie containing peanut butter. Despite administering EpiPens, her family was unable to save Stafford, who died on June 25. Now her mother is calling for more distinct packaging for snacks that contain allergens. According to NBC Miami, the girl was staying at a friend’s house when she mistook a Reese’s Chips Ahoy! cookie for a regular Chips Ahoy! cookie; her mother says she confused the similar red packaging between Chips Ahoy!’s Chewy and Reese’s flavors. Her mother also says the wrapper with the word Reese’s on it was folded back, so her daughter didn’t see it. She says she’s sharing her story to spread awareness of the potential confusion, and calls on Chips Ahoy! to make its packages that contain allergens more distinctive. “The company has different colored packaging to indicate chunky, chewy, or regular but NO screaming warnings about such a fatal ingredient to many people,” Travers-Stafford wrote in the post.